What Food or Fruit Contains Serotonin? Kevin McInerney began writing professionally in 2006 and has written peer-reviewed scientific articles for respected research journals, such as the "Journal of Pharmacology" and "Experimental Therapeutics and Psychopharmacology." He has extensive experience with pharmacology, neuroscience, psychiatry and neurology. McInerney obtained a Ph.D. in neuroscience from Emory University. Serotonin is an important chemical in your body that is responsible for a number of physiological functions and brain processes, such as mood and sleeping. Along with dopamine and norepinephrine, it is chemically categorized as a monoamine neurotransmitter. Serotonin is generated in your body by enzymes that metabolize the amino acid tryptophan, which is an essential amino acid, because your body requires a diet that contains this amino acid. Similar to tryptophan, certain foods contain high levels of serotonin. Fruits are among the types of food that have the highest serotonin content according to a study published in the October 1985 of "American Journal of Clinical Nutrition." 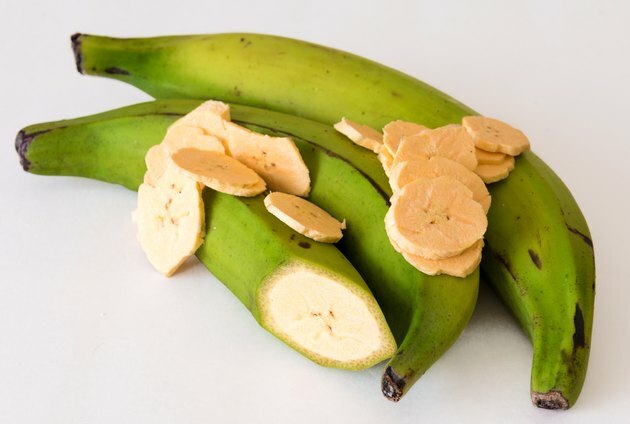 Using an analysis technique called a radioenzymatic assay, researchers reported that plantains, pineapples, bananas, kiwi fruit and plums have high serotonin contents. For example, plantains contain on average 30 micrograms of serotonin per gram of the fruit. Pineapples contain 17 micrograms and bananas contain 15 micrograms of serotonin per gram of the fruit. Vegetables are also an excellent source of serotonin. In a study published in “Journal of Medicinal Food, ” researchers used an analysis technique called high performance liquid chromatography, which showed that among vegetables, tomatoes contain one of the highest levels of serotonin at 221 micrograms per gram of the tomato. Cherry tomatoes, spinach, Chinese cabbage and hot peppers also contained significant levels of serotonin. However, the serotonin content of vegetables is generally lower than that of fruits. In addition to fruits and vegetables, there are also significant serotonin levels found in nuts. In particular, nuts from the walnut family have very high levels of serotonin. For example, butternuts have 398 micrograms of serotonin per gram of the nut, black walnuts have 304 micrograms of serotonin per gram of the nut and English walnuts have 87 micrograms of serotonin per gram of the nut. Outside of the walnut family, pecans and sweet pignuts have high levels of serotonin at 29 and 25 micrograms per gram of the nut, respectively. Your body metabolizes serotonin from the amino acid tryptophan. As such, increasing your dietary intake of tryptophan allows your body to synthesize more serotonin. There are some foods that have high levels of tryptophan, and consuming these foods can increase serotonin levels in your body. According to the USDA, one large, hard-boiled egg contains .08 grams of tryptophan. Also according to the USDA, other foods that have high levels of tryptophan are soybeans, pumpkin seeds, Parmesan cheese, sesame seeds, cheddar cheese, turkey and chicken.